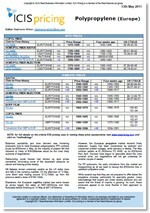 The informative and reliable Polybutylene terephthalate (PBT) report is published weekly in Asia. In Europe PBT is covered in the Engineering Plastics report and includes Polyacetal (POM). Contract price assessments are covered in Europe, while Asia focuses on spot activity. 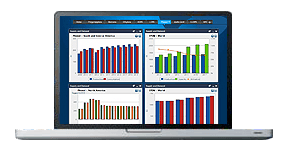 This valuable tool will support market players in business decisions. 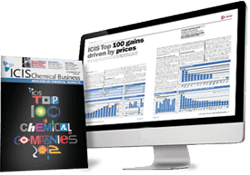 Our news and analysis includes regional overviews, production news, feedstock movements and graphs. The supply of polybutylene terephthalate (PBT) could tighten in the new year if environmental controls in China reduce supply in Asia and therefore the amount of material exported to Europe. A producer said that environmental closures can take place at short notice, and buyers who primarily source their material from Asia are sourcing a portion of their volumes from Europe in case supply from Asia is restricted. Demand for polybutylene terephthalate (PBT) is likely to remain healthy during Q1 2019, although sources warn that weaker demand from the key downstream automotive sector has the potential to impact on demand for PBT. A couple of eastern Chinese producers’ plants are scheduled for maintenance in October but this is unlikely to impact the overall supply in the country as other producers could easily ramp up their production to make up for any shortfall in supply. Producers in other regional countries will likely at least maintain their plant operating rates amid generally healthy offtake. Demand in northeast Asia is expected to improve with the onset of the traditional peak demand season. Market activity in China is expected to recover after the Golden Week holiday from 1-7 October as buyers start to replenish stock after the week-long holiday in preparation for the seasonal peak. For the fourth quarter, supply is expected to gradually improve but there may be a few unsolved shortages in Mexico. Supply is improving in Brazil after the Indorama purchase of the M&G facility in Brazil. Supply is normal in Argentina and Colombia but there will still be shortages in the fourth quarter. Demand is expected to be steady in the fourth quarter, but could be under par in Argentina if the economic situation does not improve. Inflation has reduced buying power in the country and made financing terms more onerous. Demand is expected to be normal in Mexico. We offer the following regional Polybutylene terephthalate analysis and news coverage to keep you informed of factors and developments affecting prices in the Polybutylene terephthalate marketplace. Polybutylene terephthalate or PBT is a semi-crystalline, white or off-white polyester similar in both composition and properties to polyethylene terephthalate (PET). It has slightly lower strength and stiffness than PET. PBT is softer, but it has higher impact strength and very similar chemical resistance. It is usually preferred for industrial scale moulding due to quicker crystallising. It is widely used in electronic, electrical, communications, fibre optics and automotive industries. Polybutylene terephthalate (PBT) is included in the engineering plastics umbrella. PBT is a thermoplastic polyester resin that has good impact strength, heat resistance and flow properties. It has many automotive applications such as mirror housings, fans, fuse boxes, cowl vents, and motor and ignition system components. It also has uses in electrical and electronic products such as connectors, chip sockets, terminal boards, switches and circuit breakers.